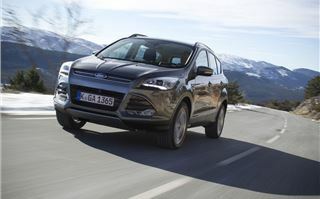 Ford's new Kuga is the product of a company that listens to its customers, For 2013, it rolls out a second-generation version that's a good to drive as ever - but with a number of useful improvements, too. 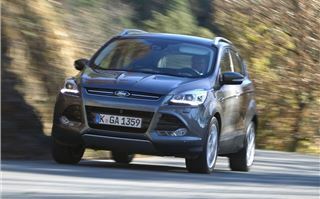 It might have been late to the party in launching its first compact SUV, but when the Ford Kuga hit the market in 2008, it proved to be an immediate hit. Its combination of smart styling, high ground clearance, some off-road ability with the four-wheel drive version and excellent on-road dynamics led to big sales. 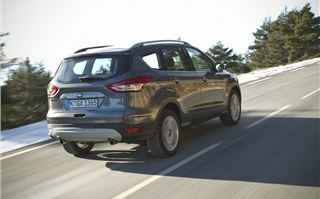 It has established itself as a strong rival to the likes of the Nissan Qashqai and Volkswagen Tiguan. 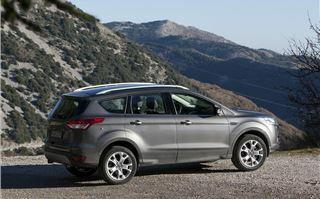 So when it came to devising the second-generation model, Ford ensured that the outgoing car's strengths were built upon. 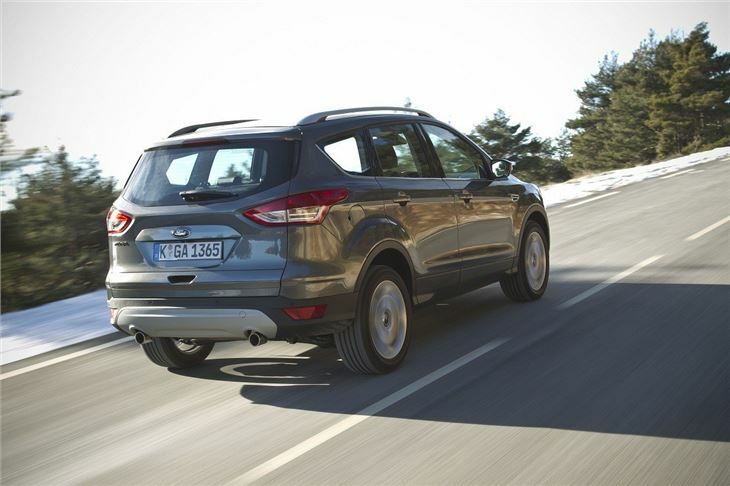 It concentrated on making the Kuga roomier, improving refinement and adding equipment. The styling, which was a strong point, has been treated to an evolutionary update. So the front end looks sharper and the roofline is sleeker - good for disguising the 81mm increase in length and longer rear overhang. It's an effective redesign, although the more reclined windscreen pillars do cause a few problems on the road. 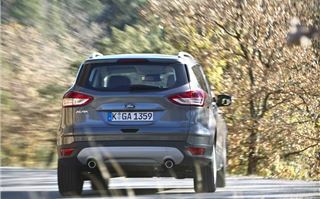 New features such as the automatic tailgate and Ford's SYNC system have been added, while cutting edge safety kit, such as optional lane-guidance, blind-spot warning and the actively-controlled Intelligent All-Wheel Drive system, contribute to the Kuga's five-star Euro NCAP performance. Inside it certainly feels a tier above the last one in terms of quality. 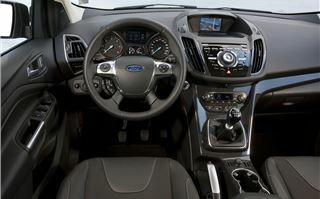 The dashboard is shared with the latest Focus and C-MAX, and incorporates an eight-inch central display with a ueful integrated storage tray. 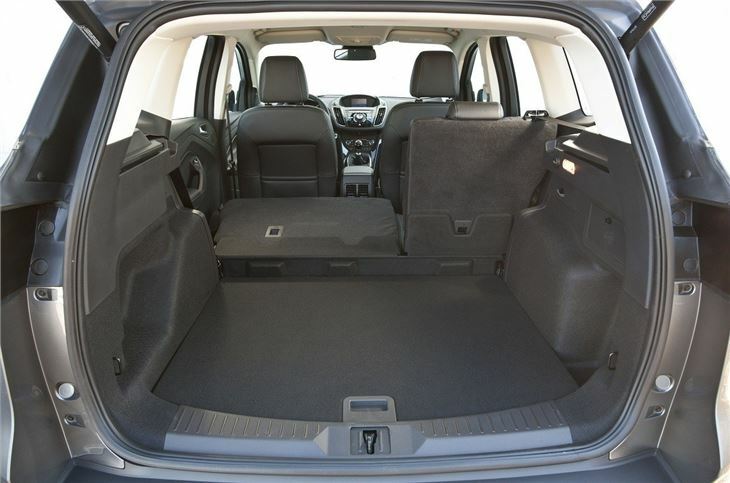 It's useful as the Kuga lacks some of the cubbies you might expect in a car of this size. Yes, there's a huge central storage bin between the seats, but other than the door pockets and glovebox, that's about it. 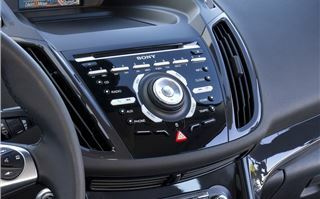 Equipment levels on top Titanium models are impressive and include Ford's voice controlled SYNC system, which allows you to pair your smartphone and play music through the speakers via Bluetooth - as well as make calls - all controlled by steering wheel-mounted switches. 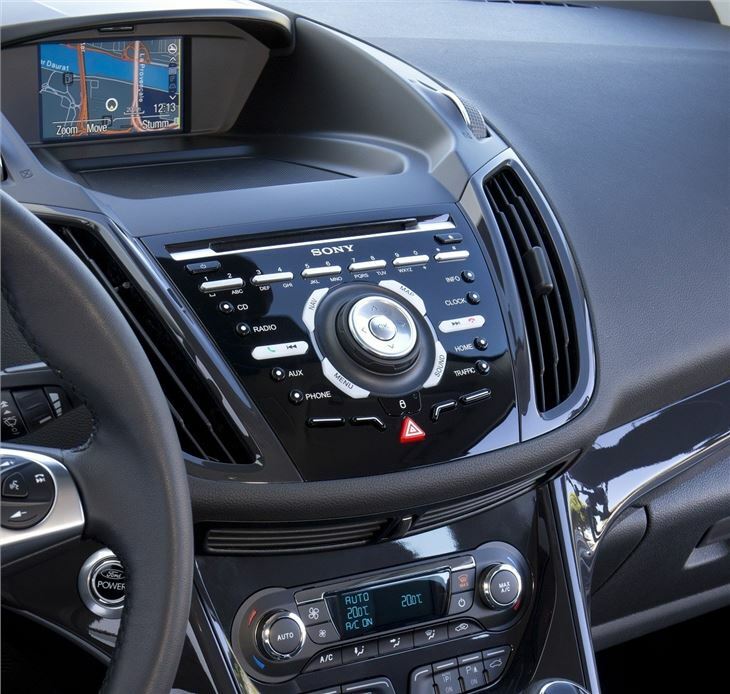 The menu options are nothing if not comprehensive and the driver can control everthing from the car's safety systems to the sat-nav features. 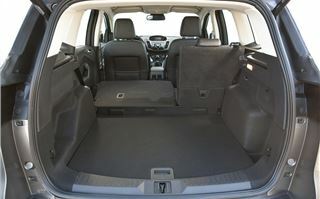 Another new feature is the automatic tailgate, which makes opening the boot a piece of cake. Simply kick your foot under the rear bumper (with the key in your pocket) and the hatch lifts electrically within two seconds. Families will appreciate the increased room too. The boot is now 1928 litres – 573 litres bigger than before – but it's let down by the fact that when the rear seats are folded, it leaves a marked 'step' in the floor. On the plus side the rear seats are simple to fold - a pull on the seat-mounted lever and the rear back-rests flip and flop forward. It also controls the rear recliner. On the road, the Kuga maintains its position as a class-leading driver's car. 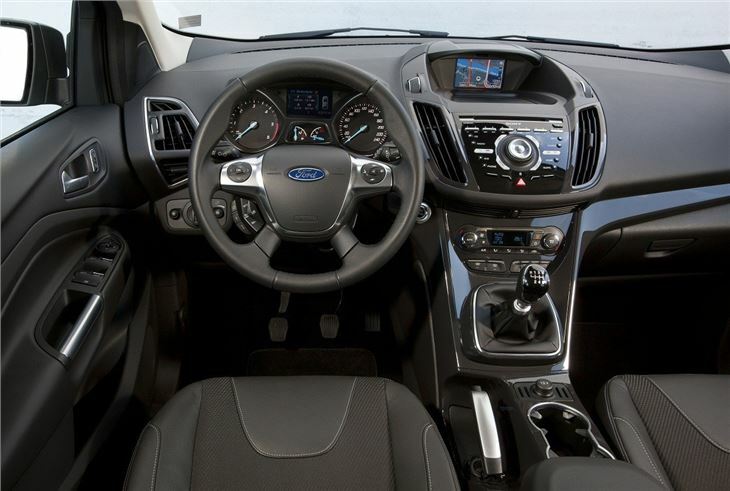 The steering, gearchange and pedals feel nicely engineered, as you'd expect from a Ford. Enthusiastic drivers certainly won't feel shortchanged by their decision to buy a small SUV - corners can be attacked with confidence and although there's some initial body roll, it never feels like it's going to get scruffy. The Intelligent All-Wheel Drive System replaces the old Haldex-based differentials. That means torque is split electronically front-to-rear, with the 'Curve Control' system tightening the car's line in enthusiastically-taken corners. 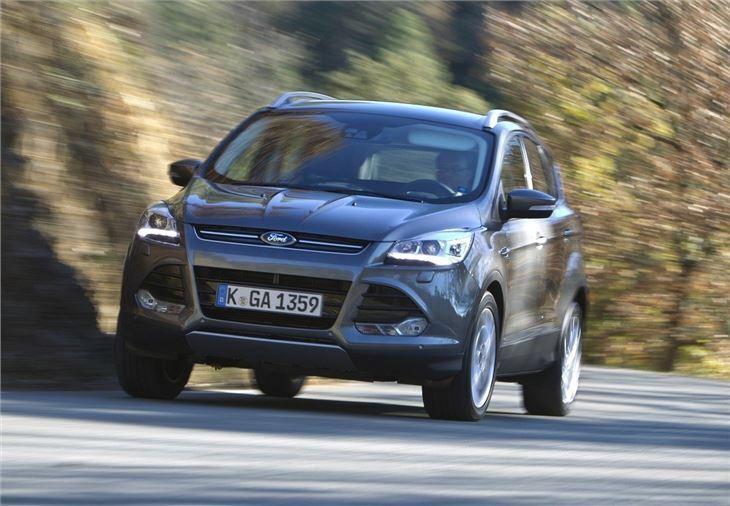 This makes the Kuga feels positive in bends and enjoyable to drive. 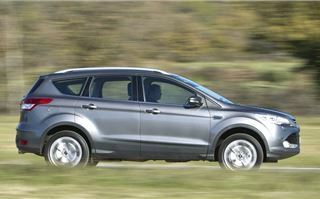 On the motorway, the Kuga's more hushed than, with less wind noise. Engine and transmission noise are also reduced, making long trips relaxed. The lofty driving position and light controls make town driving easy, but it's not as good as it could be thanks to poor visibility, especially around the windscreen pillar. It's wide and raked, obscuring vision significantly. Performance and economy are more than adequate, given the overall levels of refinement. We drove the 2.0 TDCi with 163PS in six-speed manual form, which for most drivers will offer more than enough. Acceleration from 0-62mph takes 9.9 seconds. The 182PS EcoBoost 1.6-litre Powershift six-speed automatic is near identical - with a 0-62mph time of 9.7 seconds. CO2 output for all cars ranges from 139g/km in the 2.0 TDCi with 140PS to 179g/km in the 1.6 EcoBoost Powershift. 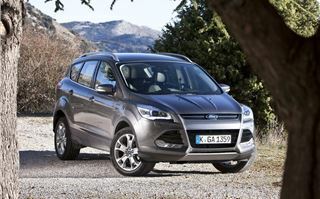 We spent a day in each car and the diesel powered Kuga seemed the easier to live with. Its power delivery is even and compared with the automatic EcoBoost, it's easier to drive, being able to pull cleanly from as little as 1300rpm. 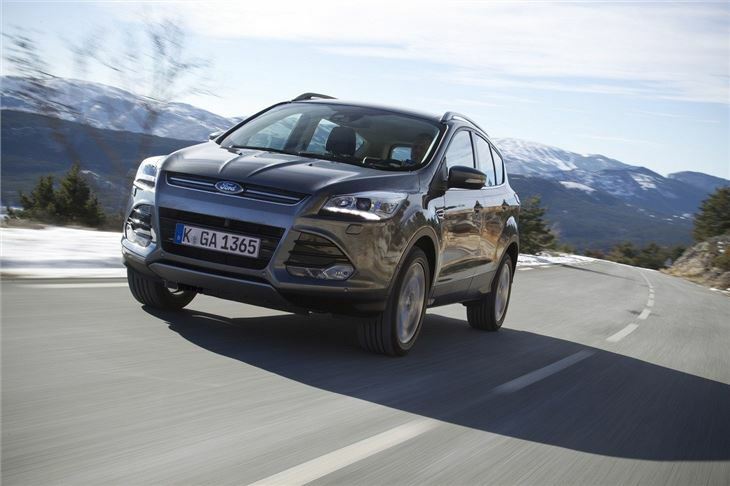 In the Kuga, the EcoBoost doesn't feel like a turbocharged engine. The automatic Powershift gearbox is smooth with well-judged ratios, but the up/down shifter - a rocker switch on the side of the transmission selector - is annoying. 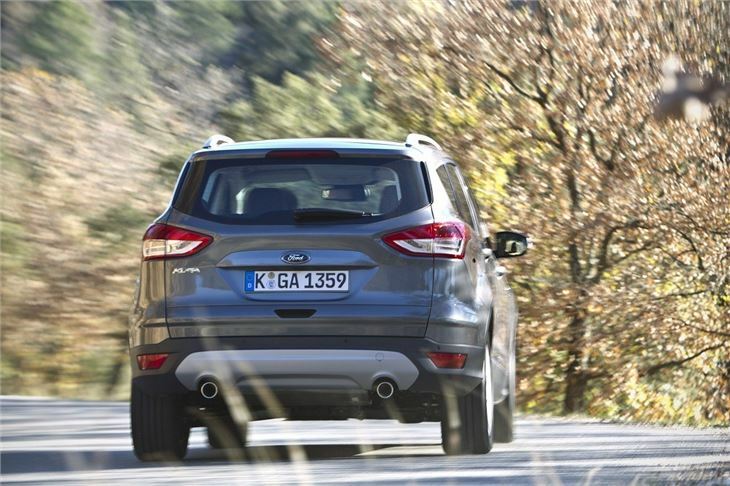 Overall the new Kuga is a significant improvement over its predecessor. 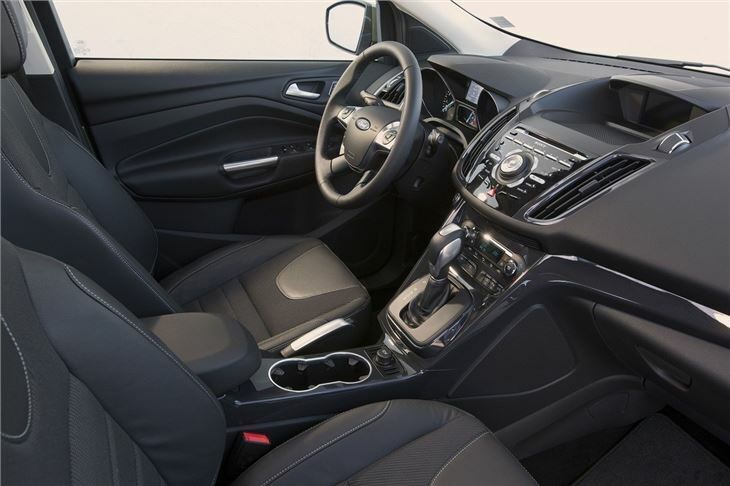 It's more refined, roomier and even more pleasurable to drive. 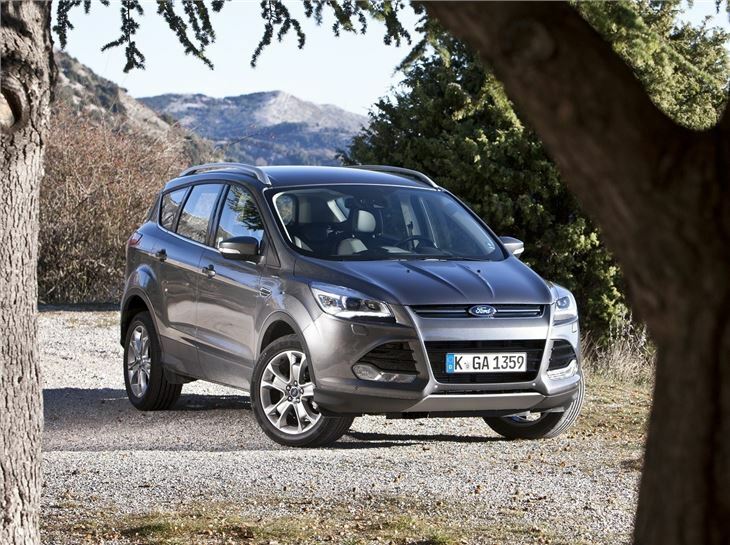 It's now entrenched as the driver's choice in its sector, which is good news if you're moving from a hatchback to an SUV but are worried about the extra height and bulk. The 2.0 TDCi is the more usable performer. We'd go for the lower powered 140PS version in Titanium trim - it's a very accomplished all-rounder for £23,545. 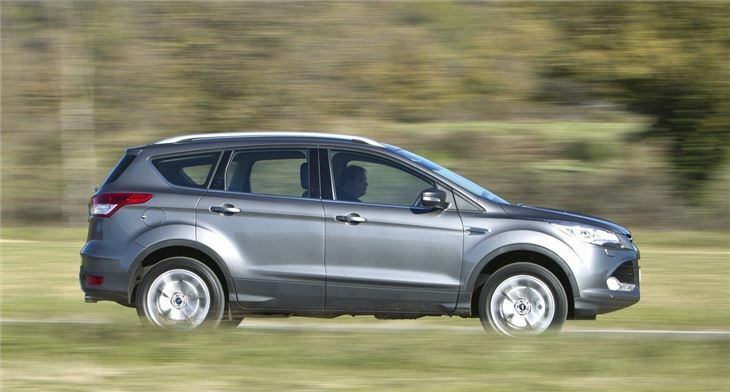 Longer term, you might want to take the petrol powered 1.6 EcoBoost, but for anyone keeping their Kuga for less than three years, the TDCi diesel makes more sense.